1650.00 EUR max. 5 Pers. Start your breathtaking helicopter flight from the highest airfield in Europe Samedan / St. Moritz and experience a flight in the beautiful Engandine Alps. 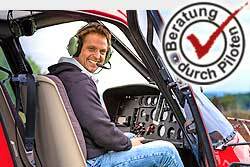 Professional pilots specially trained in the mountains will make your flight unforgettable. Enjoy this scenic flight with views of mountains, glaciers, granite walls and the unique and varied Upper Engadin lake landscape. The flight time is approx. 30 minutes.